Your bum will thank you for these bum-sculpting superhero leggings in ultra-lightweight Italian fabric. Designed to perform for your sweatiest workouts with breathable mesh and muscle-compressing performance. Suitable for all workouts, from running to spin - though with 80% opacity, we don't recommend downward dogs. Sensitive® Sculpt fabric has a high elastane content, resulting in further stretch while still maintaining a matt finish. It provides great muscle support as well as slimming, sculpting the body. The manmade fibres have a hydrophilic property that wicks moisture away from the body. It is easy to wash, quick drying, best of all has improved opacity. 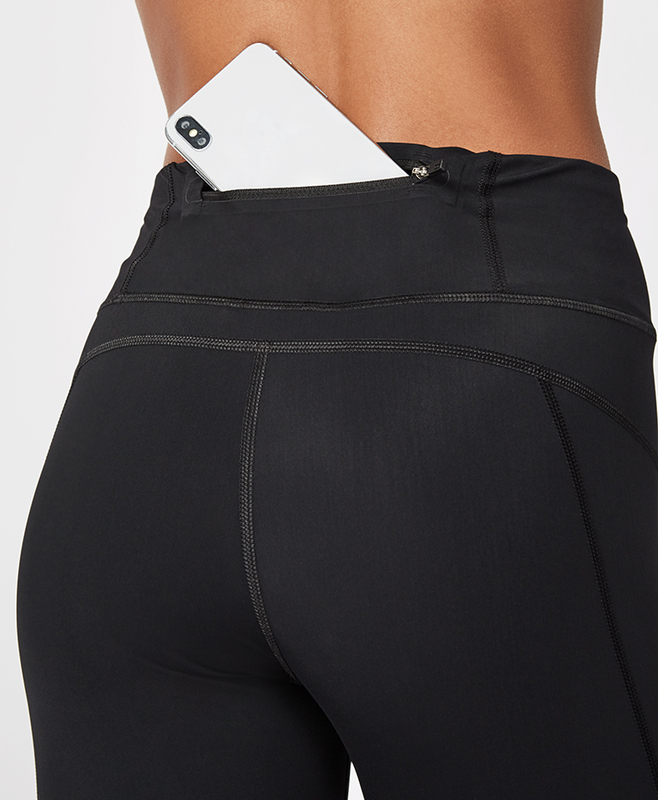 Zero Gravity High Waisted Running Leggings is rated 4.3 out of 5 by 72. Rated 5 out of 5 by Jdub811 from Officially a Sweaty Betty Fan These leggings are perfect - lightweight and flattering. I definitely did not need another pair of leggings but once I tried them on, I had to have them. This was my first pair Sweaty Betty leggings and definitely not my last! !